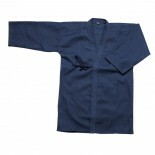 Kendo jacket (KEIKOGI) is assembled with 100% high quality cotton and excellent craftsmanship. Stylish and comfortable. Single Weave. 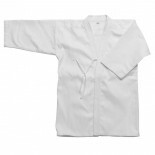 Size: 00-4, 4 1/2, 5, 5 1/2, 6, 6 1/2, 7 ..
Kendo jacket (KEIKOGI) is assembled with 100% high quality cotton and excellent craftsmanship. Stylish and comfortable. Single Weave. Size: 0-4, 4 1/2, 5, 5 1/2, 6, 6 1/2, 7 .. 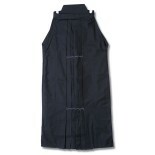 The Polyester/Cotton blended fabric used to make this Hakama has been pleated and stitched to produce beautiful straight lines. Available in three colors. Size: 18, 19, 20, 21, 22, 23, 24, 25, 26, 27, 28, 29, 30 .. 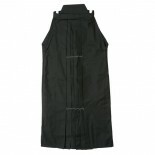 The Polyester/Cotton blended fabric used to make this Hakama has been pleated and stitched to produce beautiful straight lines. Available in three colors. Size: 20, 22, 24, 26, 28, 30 .. 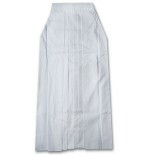 This Hakama is made from a blended fabric of Polyester/Cotton, which is creased, pleated, and stitched to produce beautiful straight lines. Available in three colors. Size: 20, 22, 24, 26, 28, 30 ..